However, this practice of building ultra-low production cars is not a new idea for the industry or for Aston Martin. 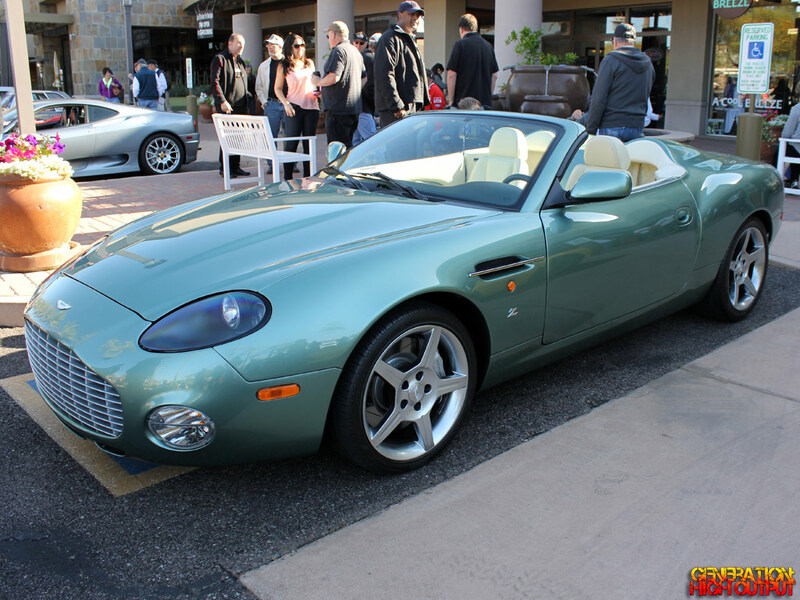 In fact, they released a very limited version of the DB7 Vantage Volante back in 2003 that was limited to just 100 cars. Called the DB AR1, it carried a hefty sticker price of $250,000. I crossed paths with one of these rare cars at a show here in Scottsdale. What made the DB AR1 unique was its Zagato-designed body. The car was a true roadster with no provision for a roof of any kind. Like most Aston Martins, it was equipped with a 6.0L V12 engine making a more-than-ample 435 horsepower. While that all sounds great on paper, it doesn’t look nearly as pretty as the DB7. 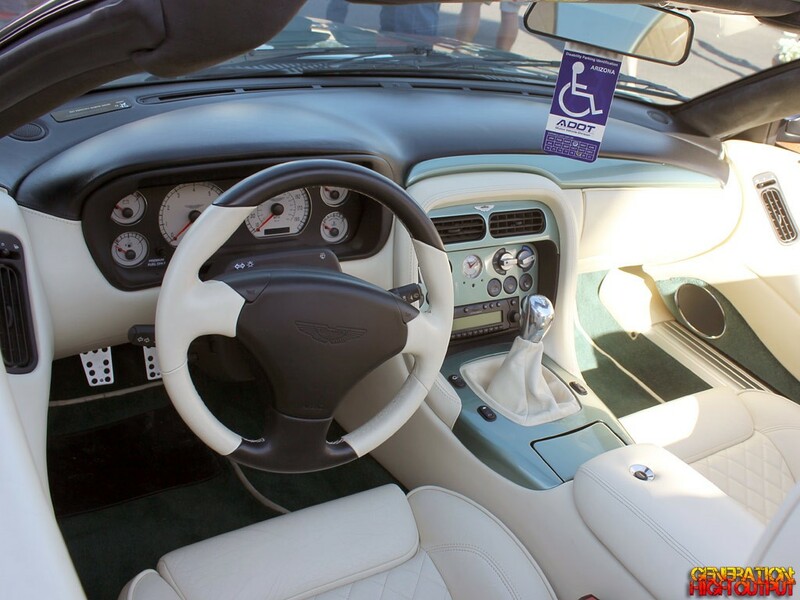 The interior is of questionable taste, and the exterior color reminds me of mint chocolate chip ice cream. It’s not a car that I would desire in my own collection, to put it gently. But if all that matters is exclusivity, well, here you go. 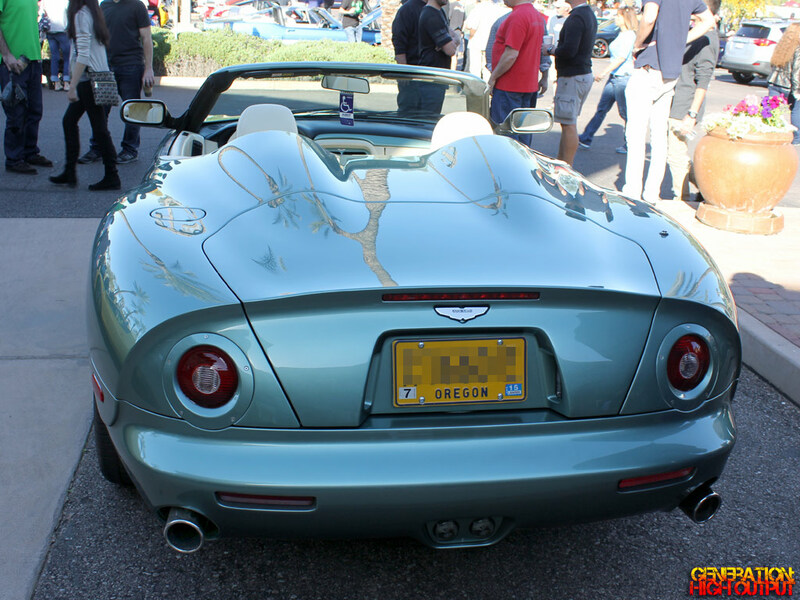 This entry was posted in Cars and Coffee and tagged Aston Martin, db ar1, rare, roadster, v12, Zagato by Trevor Freeman. Bookmark the permalink.